If you have a leaking roof, you will need to repair it immediately before it compromises your house’s health, becomes a bigger problem, and can potentially cost a lot more money than a small repair. No matter how small the leaks might appear, if not fixed in time, they might advance into big leaks to cause considerable damage. This article will describe the most common kinds of roof leaks and roof repair in your home. However, it’s best to consult with an experienced roofing contractor like Champion Roofing. When identifying the source of the leak, the start is by looking for the telltale signs of roof leaks. For instance, you will find out that when water drips over a spot, it will have dark stains or very small spots, especially on the ceiling. 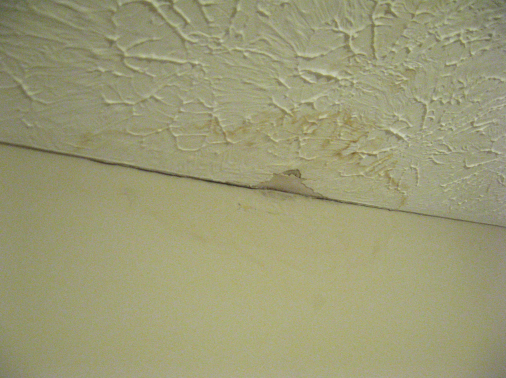 Here are other signs of roof leaks. When you see any of the above signs, the first thing is to suspect any roof penetrations since they are by far the most frequent causes of roof leaks in most homes. Roof leaks rarely occur in exposed parts of continuous shingles or aging roofs. Penetrations to look out for include roof vents, chimneys, dormers, plumbing, and any of the other projects that have been done through the roof. A roofing contractor will inspect all interior areas of the ceiling, and go onto the rooftop and check the roof for areas of probable leaks. Vent boots are made from plastic, metal and plastic, or metal only. As such, roofing contactors will need to look for cracks on plastic bases or broken seams on metal bases. They will also examine the rubber boot around the pipe for any tear or rot that can allow water to find a way into the house. If you have any of these in your vent boot, the solution is to have it replaced. However, if you find out that the nails at the base are absent or drawn up freely but the boot is in great condition, the roofer will have to change them with rubber-washered nails usually used in metal roofing. Roof vents can also be a source of roof leaks. A roofing contractor will examine them for any cracks on the house for plastic models and broken seams if you have metal types. Additionally, they will check for any missing or pulled nails around the base of the vent, and ensure the shingles are held down. Dormer walls can provide many spots where rainwater can drip down and enter your roof, especially if the caulk is aged, cracked, or missing between the boards at the corner and the window sliding and edges. Water goes through these cracks and finds way into the home behind the flashing. In fact, even the caulk that may seem intact might not provide a better sealing against the connecting surfaces. A roofing contractor will need to dig out any caulk that seems unable to provide a better sealing with a putty knife. Or, they will replace it with a better quality caulk for better sealing. He will also check for any cracked, missing, or rotten siding and change it with a new piece to overlap the step flash. Step flashing is usually used along the walls that interconnect with the roof. Every short section of the flashing leads water over the shingle down the roof. However, once they become rusty, the flashing pieces become loose and might allow water to run behind it, thus finding the way into the house. The rusted flashing requires replacement to avert the leaks. This implies that you have to remove the shingles, pry the siding loose, and remove and replace the step flashing pieces. Small and tiny holes in the shingles can be the source of frequent roof leaking in your home, and they can cause considerable damage over time if left unattended. These holes might be left from antenna mounting brackets, a satellite dish, or anything installed on the roof. The small leaks are easy to repair and can be done with flashing. The chimney is commonly prone to leaks due to the many issues that might affect it. For instance, the flashing around the chimney can rust if it is galvanized steel. To fix this, the roofing contractor will simply need to replace it by slipping a new piece of flash beneath the old corroded one. This will make sure that when water seeps in, it is diverted. The best fix, however, is to dig up a saw kerf into the plaster and install a new flashing piece. Regardless of how small the leak is, it is important to take quick action to stop it. Otherwise, it might continue to cause more damage and escalate your repair costs.